Passing the Salesforce Sales Cloud Consultant exam has been a huge goal of mine since becoming certified as an Administrator a few years ago. 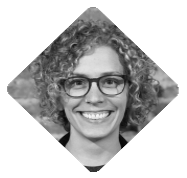 To me, earning the Administrator certification meant that I had a clear understanding of and really knew what I was doing when it came to my work with the Salesforce platform. But even then, as I celebrated my new status as a Certified Salesforce Administrator, I knew that I wanted to dig down deeper and achieve the next level of Salesforce expertise. To become a certified Sales Cloud Consultant, you can’t simply study. You must have industry experience and familiarity (if not qualified proficiency) in Sales Cloud implementation. This exam is not just about knowing the “cans” and “can’ts” of Salesforce; it’s about taking a situation and finding the best solution for the issue. Salesforce describes it best: “The Salesforce Certified Sales Cloud Consultant credential is designed for those who have experience implementing Sales Cloud solutions in a customer-facing role.” To me, this meant that by passing this exam, I could consider myself an expert in a whole range of Salesforce topic areas and tools: implementation strategies, Sales Cloud Solution design, marketing and Leads, Account and Contact management, Opportunity management, sales productivity, communities and site management, Sales Cloud analytics, and integration and data management. What an amazing achievement that would be! After doing some research and learning what this exam is about, I realized that my experience would be the key to passing. I felt like my experience was either going to be exactly what I needed to pass with flying colors, or my experience wasn’t quite the right fit and I’d fail. But either way, I wanted to see what would happen. As a customer-facing consultant for Red Argyle, I’ve been implementing Sales Cloud solutions for almost two years. It was sink or swim time. I looked over the study guide and spent a day going over things that I didn’t have much experience with. For example, I had to review some specifics regarding Communities, plus some of the finer points around Territory Management. Overall, everything in the study guide was information that I was very comfortable with and had experience with implementing and configuring. Going into a certification exam is both exciting and terrifying, because you really don’t know what is going to happen. I felt confident in my knowledge, and it would either be enough or it wouldn’t. Either way, I was ready to know where I stood. To pass the Sales Cloud Consultant exam, you need a 68% or higher. And with 60 questions, that means that you only need to answer 41 questions correctly! Before hitting the “submit” button on the exam, I was really only unsure of my answers to 5-6 questions. It doesn’t take long to get your results after you submit your test, but you’ll be holding your breath during those few seconds! The official message confirming my status as a Certified Sales Cloud Consultant! If you’ve been configuring the Sales Cloud for a bit of time and have been through a couple implementations–or better yet, if you are like me and are a Salesforce consultant–I sincerely believe you will have no trouble passing this certification exam. (If your experience is similar to mine, the hardest part will be when you’re left wondering what your score was on the test!) 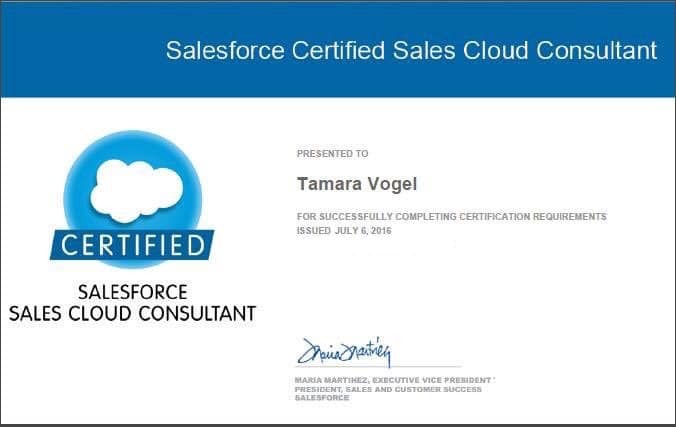 I am very excited to have passed and to call myself a certified Sales Cloud Consultant as I continue on my journey as an (always learning) Salesforce expert.